With a stay at Bluegreen Vacations Shore Crest Villas, Ascend Resort, you'll be centrally located in North Myrtle Beach, within a 5-minute drive of Barefoot Landing and Alabama Theatre. This beach condo is 10.7 mi (17.3 km) from Ripley's Aquarium and 11.1 mi (17.8 km) from Broadway at the Beach. Make yourself at home in one of the 240 guestrooms, featuring kitchens with refrigerators and stovetops. Premium TV channels and DVD players are provided for your entertainment. Conveniences include phones, as well as microwaves and coffee/tea makers. Don't miss out on the many recreational opportunities, including an indoor pool, a fitness center, and a seasonal outdoor pool. Additional features at this condo include wireless Internet access (surcharge), an arcade/game room, and barbecue grills. 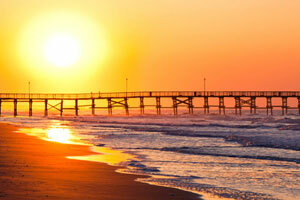 The preferred airport for Bluegreen Vacations Shore Crest Villas, Ascend Resort is Myrtle Beach, SC (MYR).